PHILLIPS - Francis Bennett Ross, 71, formerly of Phillips and Kingfield, passed away peacefully on Feb. 4, 2019, at Sandy River Center in Farmington. He was born on August 29, 1947, in Rangeley, the son of Harry B. Ross and Thayla G. Bachelder. 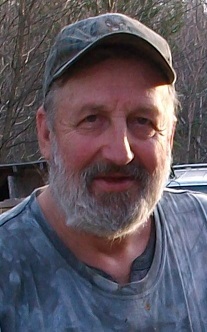 Francis graduated from Rangeley High School in the class of 1967, where he was known for his athletic abilities in basketball, cross country skiing, ski team and track. He enlisted in the U.S. Air Force in 1967 and was honorably discharged as a Sergeant in 1974. He then decided to join the U.S. Army where he served as a Specialist Four E4 Engineer from 1974-1988. On Feb. 20, 1972, he married Olive Freeman in Rangeley. After his military service, he worked at Forster’s Mill, cutting wood for Sonny Abbott, and then for 16 years at International Paper where he retired from. Francis loved fishing, hunting, camping, spending time with family and friends, watching wrestling, and cheering on his grand kids playing sports. Most of all, he enjoyed having the opportunity to tell a good story or joke to anyone that would listen. Francis is survived by his wife of 47 years, Olive “Sister” Ross; his children, Eric Harvey of Chazy, NY, Harry Ross of Strong, Leanna Ross Targett and husband Travis of Salem Township, Lee Ross and fiancée Rana Raymond of Madison; grandchildren, Dylan Ross, Mariah Ross, Scott Ross, Davin Targett, Jerusha Caldwell, Cierra Branham, Rebecca Ross, Brooke Ross, Isaac Ashby, MacKenna Targett and Addison Harvey; siblings, Susan Katy Phillips, Dianne Gould, Nellie Bourget, and Jennice Cole. He was predeceased by his parents; his siblings, Harry Joseph Ross, Willis Reynold Ross, Frasier Vance Ross, Stanley Ross, and Adelaide Clark. Donations may be made in Francis’ memory to the Kingfield Little League, c/o Town of Kingfield, 38 School Street, Kingfield, ME 04947. Services will be held at a later date. Arrangements are under the care and direction of Dan & Scott’s Cremation & Funeral Service, 488 Farmington Falls Rd., Farmington, ME 04938. There are no words I can say that will comfort you all at this time, But hold on to your heart and all the beautiful memories We all have, Love you all. I am so sorry for your loss. My condolences to you all. Keep those cherished memories close. You are in my thoughts and prayers. Condolences to all of Frances family, I met him years ago at the Big Apple. Always had a smile on his face and a story to tell, and talk about the grandchildren. Oh No, I am saddened to read of his passing. A fun classmate, and friend. RIP. My heartfelt condolences to his family. Sorry to hear of your loss, Lee and Harry. Keep your fond memories close. So sorry to hear about Francis. So very sorry to hear this news. I'll always remember him as a good classmate, full of fun--important in a class of 29! Also, thank you, Francis, for your service to our country! Condolences to his family. I graduated with Francis. We always had fun together. We both were on the cross country ski team where he always managed to beat me by a second or two but we had a great time. I never recall him having a bad word about anyone. I wish our paths had crossed more often. So very sorry to hear this sad news. Francis was a classmate of mine. memories will wrap you in comfort through this very difficult time. I was saddened to hear of francis passing he was a great man and a better friend!! Sister(olive) -Harry-Leanna-and Lee and all of your families you are all in my heart and healing prayers for all of you. So sorry for loss Sister, HarryB, Eric, Leanna, and Lee. Uncle Franny was my favorite uncle. He always made me laugh as well as having a shoulder to cry on. Even as I had grown up he would stop over for tea. I miss the old times we had at family reunions at the old Ross place on the hill. Time has slipped away from all of us as we grow older. Uncle Franny was an exceptional man with great values for family, work and play. Keep his memories alive and remember what he taught all of you. Wish I had the chance to see him one more time.